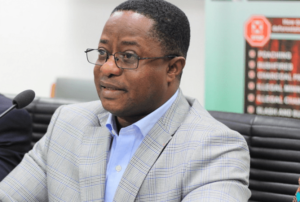 Rainbow Radio’s parliamentary correspondent Afia Kwarteng reported that the Energy Minister John Peter Amewu has placed a new deal before the House. According to her, government is seeking approval from Parliament to review the renegotiated and enhanced terms of the build, own, operate and transfer (BOOT) agreement it entered with the AMERI Energy on February 10, 2015. The new deal has been referred to the Joint Committee of Mines and Energy and Finance for consideration and report. Speaking the media after appearing before the House, the Energy Minister said the terms in the renegotiated agreement are better and improved than the terms contained in the agreement reached between the erstwhile National Democratic Congress (NDC) government and Ameri Energy.